Investment banks from Goldman Sachs to Bank of America, as well as Russia’s own VTB and Rosbank, are all bullish on Russian bonds. After a disastrous 2014 they may finally be heading for a revival. Bondholders in Russia are making out like bandits in 2015, with corporate bondholders seeing a 7.3 percent return this year, according to Bloomberg data. “It’s very simple advice. Bonds are much more attractive than a year ago. Risks related to the ruble have subsided, inflation is likely to moderate, the BoP (Balance of Payments) and budget situation look reasonably strong and that is why the outlook is quite favorable,” Vladimir Kolychev, Chief Economist for Russia at VTB Capital, told RT. 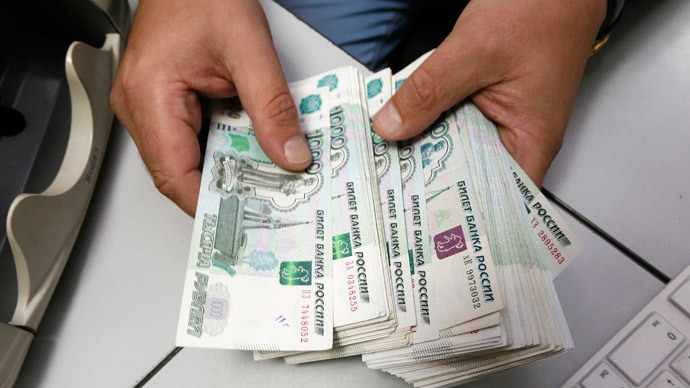 According to the Finance Ministry, the ruble is currently undervalued by 10 percent after losing more than 50 percent of its value against the US dollar last year, but has begun to stabilize. At the time of publication, one dollar bought 59.01 rubles, the best intraday rate in more than two months. Inflation is expected to significantly decrease in the coming year, which for now, makes Russian bonds a sweet deal for investors. The 10-year ruble-denominated sovereign bond yield was 8.33 percent at the end of June, compared to 12.9 percent on March 23. Bank of America argues that Russia has the “strongest macro case” of all the emerging markets. “Unless geopolitics interferes, we forecast Russian rates are likely to repeat Hungary’s three-year bull market run in the years ahead,” Bank of America’s head of emerging EMEA economics David Hauner wrote in a note last Thursday. In a March 11 note, Russia’s Goldman Sachs analysts wrote “Russian bonds are both cyclically and structurally under-priced,” in a big part due devaluation expectations of the ruble stabilizing. “Well I actually agree (from what I understand GS also likes bonds) with that. We've been experiencing a sell-off for the last year. Yields have increased and the balance of risks is on the upside for bond prices,” Kolychev said. Five-year treasury bonds, known as OFZs on the Russian market, have been fetching yields in the ballpark of 13.5 percent in weakly bond auctions, nearing premium value. The fact that the bonds are even being placed is an improvement on 2014, when the finance ministry was forced to cancel auctions due to economic and political unrest. “The current situation is different as bond yields seem to 'overprice' subsequent key rate cuts at most for the upcoming months. I would say that at the current level of the key rate a fairly priced curve could look like: 1y -14.25%, 5y - 14.50%, 10y - 14.75%,” Evgeny Koshelev, fixed income analyst at Rosbank, told RT. Such high yields are risky, but for those that already have skin in the game, the payout could be big. Koshelev said these bond prices are not official trade recommendations of the bank, nor marketed to investors. How attractive bonds are for investors depends heavily on the Central Bank of Russia's main interest rate (currently 14 percent) as well as the inflation level, which was 16.7 percent in February. “We look at the government bonds not only through the prism of projected inflation. The more proper way is to reflect the base rate (like the key rate of the CBR) and adjust it to the credit premium,” Koshelev said. VTB Capital believes the upward momentum will continue, especially in the OFZ market, as long as the Central Bank of Russia (CBR) continues to cut rates, the group said in a note published on its website March 20. As the CBR continues to cut the key rate, coupons, or interest investors make on bonds, will return to levels that will guarantee positive returns above the official CBR benchmark rate. The CBR slashed the key lending rate to 14 percent at their March 13 meeting, after another surprise cut in January. Goldman sees the bank cutting the main lending rate by 800 basis points in the next two years, and inflation to fall to four percent in 2016. This will more than undo the 650 basis point hike made at an emergency meeting on the night of December 16. 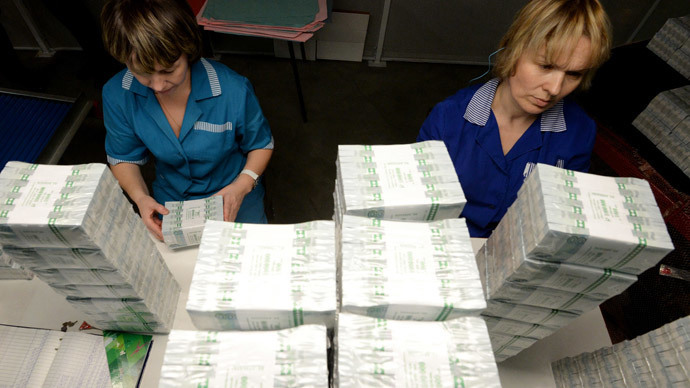 The Central Bank is suggesting that Russia’s weak economy is cutting inflation on its own. At the March 13 meeting, Governor Elvira Nabiullina said inflation is forecast to fall to 4 percent by 2017. Russian Finance Minister Anton Siluanov projected annual inflation for 2015 will be just above 12 percent. According to Central Bank estimates, Russia’s weak economic growth will help regulate inflation. VTB Capital sees inflation improving significantly, as the current 17 percent is a product of the ruble devaluation and the import ban, and most of the shock has already been absorbed. “In 2016, we expect single digits, perhaps as low as 4-6 percent,” Kolychev said, which is line with Goldman Sachs’ estimate that inflation will fall as low as four percent in 2016. Things aren’t so optimistic for Russia’s dollar-denominated bonds, which, according to Standard & Poor’s, are junk level, on par with Belarus, Hungary, and Spain. The massive ruble devaluation against the dollar, among other factors, led Standard & Poor’s to cut Russia’s sovereign ratingrating to BB+, or junk status, on January 27. Along with Moody's, S&P has downgraded all euro-denominated Russian corporate bonds at, or below, junk level. 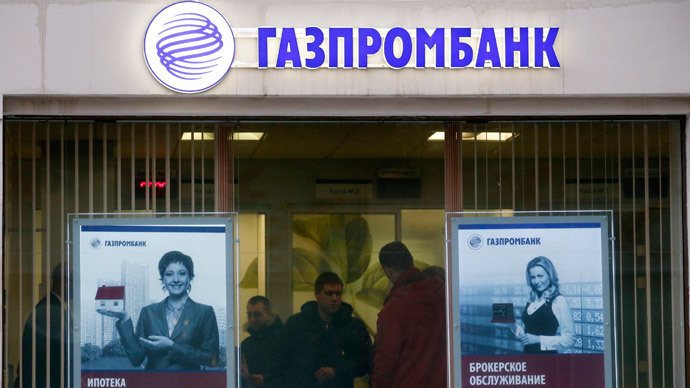 This includes Russia's commercial lender, Sberbank, as well as other leaders like Gazprombank and Alfa Bank. The move means the investors rating service sees a one in three chance that Russia will default on its foreign debt in the next five years. The last time Russia’s sovereign debt was rated as ‘BB+’ by S&P was in 2004, when the country’s foreign currency reserves stood at $82 billion, whereas as today they stand at $350 billion. However, unlike its junk-rated counterparts, Russia has an extremely low ratio of debt to GDP at 9.2 percent, a solid indicator to many that it isn’t on the media-frenzied verge of financial doom. 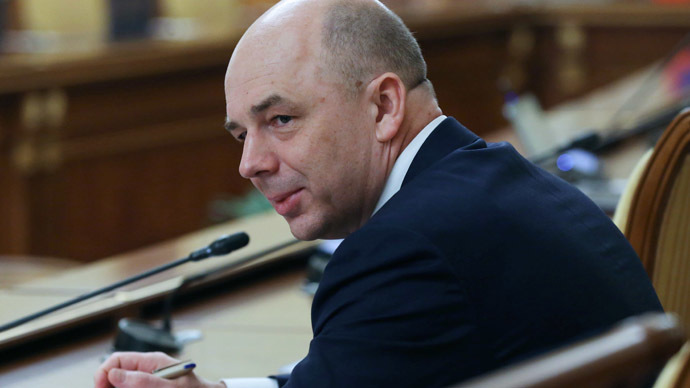 Siluanov dismissed the downgrade as “groundlessly pessimistic”. Russia is also well-equipped to pay off its foreign currency debts, which as of September 2014 (the most current available information from the Central Bank of Russia) totaled $649.4 billion, of which $143 billion is due before September 2015. Only $6 billion of the money due in 2015 is in dollars. Both ruble-denominated bonds and sovereign bonds are intrinsically connected to oil prices. The oil price reprieve that increased crude prices earlier this year helped ease inflation in Russia, but another significant fall could again send the ruble plunging, and oil along with it. “I would say that $50 a barrel is a moderately conservative assumption. Our internal assumption is quite close to the level, forecast by the ministry of economy, and we believe that it is fairly priced with the market from further contraction unless major changes occur, like the removal of sanctions against Iran or restrictions on oil exports from the USA,” Koshelev said.